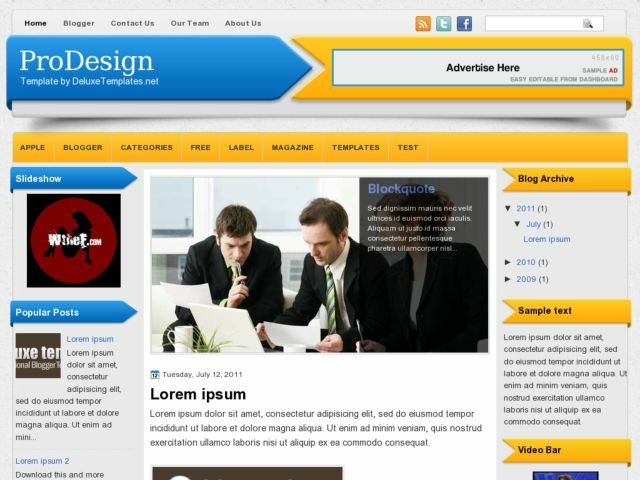 ProDesign Blogger Template is a free magazine blogger template with 3D layout on sidebar and header. Template features : 3 columns, left and right sidebar, magazine template, banner 468x60 ready on the right header, simple slider menu, automatic labels on menu horizontal, Rss, Twitter and Facebook icons ready on top, rounded corners style and more. Recomended for business blogs.